For perfect energy management during Lunar and Solar observion. NO reflections. NO stray light. NO ghosting. Planoptically polished with Phantom Coating Group Multi-coatings. Special Filter Cell: Baader's special filter cell design offers unique features that enhance their reliability and usability. 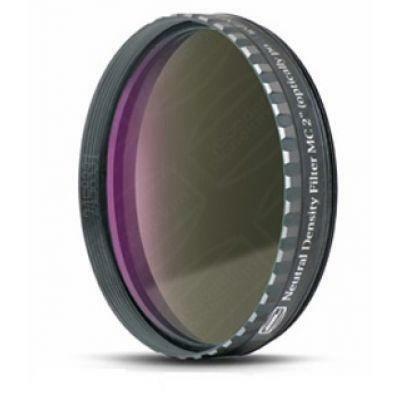 Though difficult to produce, the ultra-thin filter cell results in the maximum possible clear aperture, in order to minimize vignetting (1¼" Filter clear aperture is 27mm!, 2" Filter aperture is 45mm). The special threading has been designed to fit the wide variety of eyepieces and accessories. Freedom from Ghosts and Halos: Baader Planetarium's filters have always been halo and ghost free. Baader balances each dielectric coating stack to avoid the ghosts and annoying halos that plague other mfgr's filters. Stackability: Unlike most other filters, Baader Planetarium filters are truly designed to be stacked and combined. This is possible due to the high optical quality and highly efficient anti-reflection multicoatings. The ability to combine filters opens up many interesting possibilities, permitting unique spectral characteristics unachievable with any single filter.